Udayanidhi also claimed that people have already decided to oust the Modi government because it has not fulfilled any of its promises ever since it came to power. 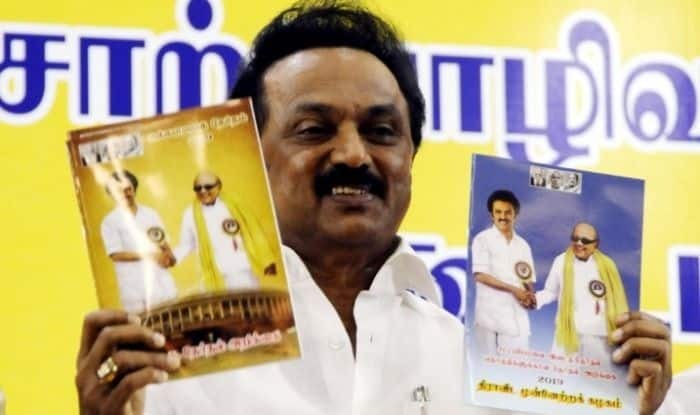 Udayanidhi Stalin, son of DMK president MK Stalin, Tuesday claimed that Tamil Nadu was witnessing an “anti-Modi” and “pro-Stalin” wave. Meetings of the DMK-led alliance are seeing a “sea of people”. There is an “anti-Modi wave” in the state, he said seeking votes for the DMK’s Pollachi candidate Shanmugasundaram. People have already decided to oust the Modi government, Udayanidhi claimed. He also asked whether Prime Minister Narendra Modi was successful in bringing black money after announcing the demonetisation two years ago. Nearly 10 crore people were rendered jobless due to the GST and people of Tamil Nadu will not forget the girl student, Anitha, who had committed suicide after she was not able to get a medical seat due to NEET, he pointed out. There was no protection to women in the AIADMK government in the state, which was evident in the recent alleged sexual harassment case in Pollachi, he alleged, adding that the culprits would be punished once the DMK came to power.